Safety labels help you comply with safety regulations, warn employees about potential hazards and promote a safer workplace. Biomedical and clinical engineering departments and the medical staff use safety labels to ensure proper patient care. Safety labels serve as instant reminders to your medical staff. They help you manage clinical alarms and meet The Joint Commission NPSG 06.01.01 for managing those alarms. In addition, they assist employees with understanding the status of electrical equipment, record inspection dates and more. 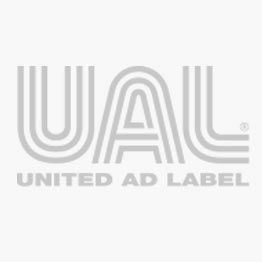 United Ad Label safety labels are available in a wide variety of colors, sizes, messages and formats, making application to equipment easy. Plus, self-laminating options protect the face of the label and any notes written on it from cleaning chemicals. Electrical Equipment Safety Label, 1" x 1"
Electrical Equipment Safety Label, 2" x 1"